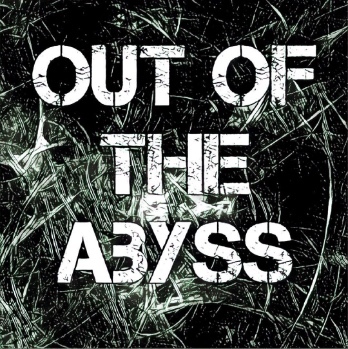 Make sure you visit my Guide to Out of the Abyss. Although teleportation is an option, if you’re following my advice on chapter 9, the second part of the adventure from level 8 through 15 still involves lots of traveling and wilderness encounters. Unfortunately, the book is not very clear in the options available. And when you find what’s available, it’s surprising how “not cool” the experience is. In chapter 9 the book tells us to use the encounter tables in chapter 2. You know where I’m going. Those battle are way to easy for a level 8+ party. Then we find another encounter table in the Wormwrithings chapter, a little better but it’s not enough, and then you have to use it again in the labyrinth. After that there is an encounter table to be used in the fetid wedding, while traversing Araumycos, that’s the worst one. 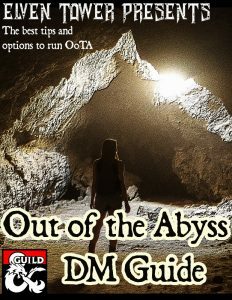 The purpose of this part of my guide is to provide more and better options for fun, interesting or challenging encounter ideas for the second half of the Out of the Abyss campaign. If you’re playing the first half of the adventure you might want to check out the other Extra Encounters for the first part article. 1.-Drider ambush – A group of 2 driders and 4 giant spiders hang from the ceiling hiding. The spiders attack while the driders shoots from the ceiling. If the spiders are killed and driders are reduced to half HP the attempt to flee. 2.-Insane Giants – There’s a big explosion as one wall breaks in. Two stone giants stand before the PCs. They are afflicted by the same condition as Dorhuun in Gracklstugh, they are two-headed and insane. 3.-Merchants in distress – A small miners caravan is making its way from Blingdenstone to any other settlement, transporting salt and minerals. They were recently attacked and request assistance in going back to save some friends and merchandise. Or they could be ok and request escorting to the next city. 4.-Captive angel – Fasriel is an angel that was defeated in the underdark by fiends a very long time ago. We was nailed to a cross in a desecrated area that’s also shielded from detection. He is also cuffed with dimensional shackles. He’s dying but this condition is eternal, he never quite dies. The PCs might stumble upon him by accident, triggering an encounter with the angel’s guards. 2-3 Balgura, 1 Nalfeshnee and scores of Manes. After the battle, the PCs can return the angel to his own plane with a banishment spell or similar. 5.-Kobold hunting party – kobold marauders try to ambush the party, two of them are accomplished spellcasters. They cast fireball and darkness in the first turn. If this go sour for them, they can cast invisibility and flee. 6.-Kobold scammers – kobold fraud merchants who carry a crystal ball and scry people before bartering. They try to guess what their clients are looking for and recreate it with a clever illusion spell. They try to sell a special component for Vizeran’s ritual for 500 gp, like the beholder eye. An investigation check (DC 17) reveals it to be fake. The illusory object appears real to the touch and other senses. It vanishes after two hours. 7.-Serpent warriors – Yuan-ti pureblood cultists attack the party. One of them is a mage, another one is an evil druid. The rest of them (1d6) use the stats of the veteran. 8.-Ooze rain – The roof caves in and a group of 4-5 black oozes fall on the party. They must succeed on a DEX save (DC 15) or take damage equal to the black ooze’s basic damage. 9.-Hyenas on the hunt – A gnoll tracking party is following the PCs, there is one chieftain (Veteran), one healer (gnoll acolyte with the healer feat), and a band of 15 regular gnolls. 10.-Hidden threat – The PCs stumble upon the territory of a Behir. It awaits in the shadows for the best moment to strike. 11.-Lava and demons – The PCs must cross a lava river. When half the party has crossed, a pack of 4 Vrocks attacks. 12.-Down with Primus – A group of rogue and insane modrons mistake the PCs for enemies of Primus. They consist of 3 tridrones, 2 duodrones and 10 monodrones. If the PCs kill two tri-drones and cure the last one with a greater restoration spell, it can command the rest of the modrons to stop fighting. 13.-Down with the fire giants – On a completely unrelated matter, the PCs come across a band of dwarven knights representing the Underkingdom of Belletta. They see strength in the PCs and offer great treasures if they join their quest. They seek to destroy a fire giant camp. 14.-Yes… she’s back – Illvara’s insane soul still roams the underdark, trying to find her quarries. She’s somehow reincarnated as a group of 5 wraiths. All of them are her. Her personality and memories are fragmented in each wraith. 15.-Accomplished spellcaster – An arcanaloth has sensed the magic auras of the PC’s magic items. He confronts them and offers to spare them if they relinquish all of their magic items. He’s not alone, 6 ghasts, 4 ghouls and 8 zombies come with him. 16.-Dreams of tentacles – An illithid arcanist wants to enslave the party. He releases his 4 intellect devourers on them. He has greater invisibility and awaits next to the cave wall. After the intellect devourers use their devour intellect feature, the mind flayer attacks with mind blast. If all party members are taken down, the mind flayer eats one brain and takes the rest to his lair. Now the remaining PCs must escape before dinner time. 17.-Release the spirits – In a small crypt the PCs find an unopened sarcophagus, it’s held shut with a clay seal with runes. The runes talk about leaving the tomb alone, or risk impending death. If the PCs open it (they will), 2 ghosts, 1 banshee and 2d4 shadows attack. The zone is desecrated, granting advantage on turning saves to all undead. 18.-Bulletes pack – What appeared to be an earthquake, turns out to be a pack of bulletes hunting, they leap from floors and walls and attack the party. 2d4 bulletes attack. Optional: if half the bulletes die, the rest of them escape. 19.-Fomorian “town” – The PCs stumble upon an underground fungi forest which is home of a pair of fomorian. They could be working on their crops (they farm fungi), or maybe asleep. Other servants of these fomorians are a pack of lizard folk, 2d8 lizardfolk live here, taking advantage of the food resources and the fomorians protective company. 20.-Arcane threat – The party comes across a buried complex which used to be a library. Many wizards died here and were later revived as flameskulls by the magical nature of the underdark and de demonic energy. 2-3 flameskulls and 2d10 skeletons await in the library. All the flameskulls cast fireball in the first turn. Be sure to reward good treasure after this encounter.